Will IoT and social overtake TV and radio for news consumption? An increasing number of IT security professionals see future in IoT and social media for general opinion, general news and discussion on IT Security, according to new research. The study, from Origin Comms, looked into the media consumption trends of IT security professionals. While traditional media such as online websites and magazines will remain popular for media consumption within the IT security community, other sources may be gaining traction among more tech-savvy IT security professionals. When asked where they will source their cyber security content in five years’ time, there was a notable increase in the numbers claiming they would use Internet of Things (IoT) devices, and social media in the future for general opinion, general news, product reviews and announcements. Blogs are also expected to rise in five years’ time as a key source of information. Eleven percent more IT security decision makers suggested they will be reading blogs for thought leadership and for general news than they currently do, whilst 14% more will be utilising blogs for tech support information. This shift comes as increasingly savvy companies are turning to blogs to complement their communications arsenal. 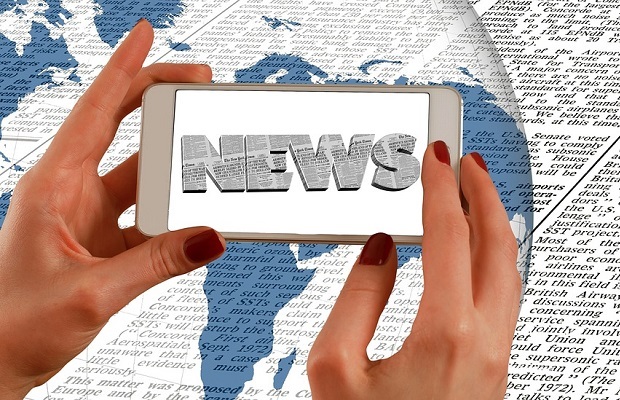 The research also highlighted that legacy media such as newsprint, TV and radio are a waning source of news when it comes to IT security information. News environment and news consumption practices are changing rapidly and the findings of the Origin research reinforce a decline in legacy media and illustrate how habits in media consumption and news engagement are heavily stratified by the IT Security sector. Newspapers (5%), TV (4%) and radio (0%) are virtually ignored as news sources, along with general news websites (8%), whereas IT security-specific sites (59%) and IT sites (58%) lead the way as most popular news sources amongst IT security professionals, closely followed by IT security magazines (40%). Media consumption isn’t all about where we get our information, but also, how we access it and the time spent consuming any given article. The corporate world continues to move at pace with limited opportunity to sit and read a newspaper or magazine from front to back for example. Time is of the essence – whether IT security professionals are reading on their laptop (50%), smartphone (35%) or tablet (11%) they have little time at their disposal. They’ll also only spend seven minutes on average reading an article, so it’s vital to make an impact early on. Relevance (74%) and interesting facts (72%) will make them read on, so it pays to steer clear of corporate soundbites and be as honest and informative as possible. Despite the lack of time to read, and the decline in print media consumption, 77% of IT security professionals still believe there’s at least one subscription worth paying for. Online magazines (44%) and journals (39%) are most popular in this regard so there is still some life left in print yet. The longevity and accessibility of online subscriptions make them particularly appealing, and the ease in which news can be read and shared online certainly has its advantages over the print counterparts. Technology has certainly proved a disruptive, but exciting new medium for delivering content and we want our clients to recognise the significance of the content they provide, and the value for them in understanding why, how and who we share that content with and how this will change in years to come. Ensuring they are targeting the right audience, through the right means, and making them content creators and curators, to provide unprecedented detail on industry issues, is our objective” Averley continued. To download the full report ‘How to Reach Information Security Professionals Based on Media Consumption Behaviour’, click here. The research was conducted by Vanson Bourne, an independent specialist in market research for the technology sector. Vanson Bourne interviewed 100 IT decision makers in the UK, during June 2018.